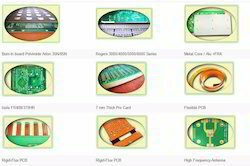 technical expertise enable customers to get PCB Fabrication done at competitive prices.We specialize in different types of printed circuit boards including multi-layer pcb, rigid flex PCB, metal core PCB and military PCB.Our Printed Circuit Boards include gold plating PCB, immersion Gold PCB, aluminium based or with gold finger, PCB for high frequency, ultra-thick or ultra-thin PCB, PCB for power supply or with heavy copper or with impedance control. For an industry that depends on stringent process control and product traceability, Our specialized facilities strictly adhere to a comprehensive quality system designed to meet the needs of the Medical Industry. Our high-mix, low volume manufacturing combined with competitive, off-shore production and value added assembly provide a custom end-to-end solution for the medical customer. Advanced metal and assembly for ultrasound, MR other medical HLA products. Advanced medical backplane assembly for CT applications. Medical printed circuit boards that include complex designs for implantable devices, patient monitoring, robotic surgery systems, CT and MR systems. In the automotive electronics sector, we are the strategic supplier of advanced-technology, medium- to high-volume, high reliability printed circuit boards to automotive electronics manufacturers. We support the full range of our automotive customers PCB needs from prototypes to high-volume production and from standard products to the most advanced technologies. As military and aerospace electronics are reduced in size to increase functionality and reduce weight, they incorporate new technologies that need to be thoroughly tested and proven reliable. 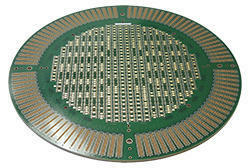 These new processes must be characterized "stable and controlled" before they can be implemented in mission-critical applications.As military and aerospace electronics are reduced in size to increase functionality and reduce weight, they incorporate new technologies that need to be thoroughly tested and proven reliable. These new processes must be characterized "stable and controlled" before they can be implemented in mission-critical applications. We have dedicated and quick-turnaround operations capable of delivering PCB prototypes with short lead time . We also offer quick-turn prototyping with lead time as short as 5 days, depending on the technology and layer counts. 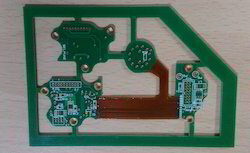 Looking for Multilayer PCB ?